moving you and your family forward! We can help you manage a range of injuries and illness. 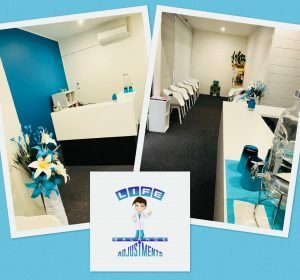 We specialise in the treatment of neck and back pain, poor posture, sciatica, headaches, newborn and child health issues including reflux, feeding issues and constipation, sports injuries in adults and kids and many other ailments. Here at Life Balance Adjustments, we only use gentle, low force treatments and adjustments using an activator, drop-piece table and mini drop piece. Very rarely is manual manipulation used. 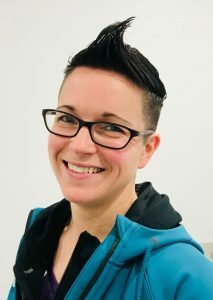 We believe in getting your body functioning as best as we can and have you well and truly on your way to recovery in the best possible timeframe. Treatments can include Chiropractor Adjustments, Dry Needling, Soft Tissue Ultrasound, Cranial Adjustments and Soft Tissue Therapy. Ask yourself this question: “Is there anything you have ‘just been putting up with’ hoping it would go away on its own?” Contact us to see if we can help! 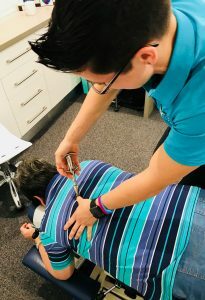 Visit Dr. Kez, your chiropractor, located in Watsonia/Greensborough.